The Tulane University School of Medicine has extensively used Standardized Patients in its curriculum for over 20 years. A Standardized Patient (SP) is a layperson trained to portray an actual patient, presenting a faculty-defined clinical scenario complete with patient history and physical symptoms, for teaching and assessment purposes. The SP interacts with medical learners, allowing them to apply newly acquired attitudes, skills and knowledge in an environment that does not put an actual patient at risk. 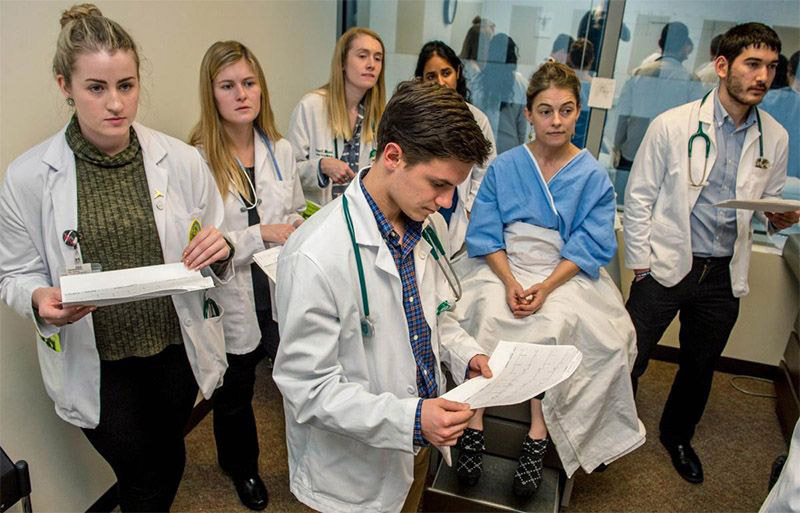 Standardized Patients can measure clinical application of knowledge during student encounters that include history taking and interviewing, physical examination and physical exam etiquette, communication and interpersonal skills, and patient management. They can be further trained as Standardized Patient Teaching Associates (SPTAs). A SPTA acts as both instructor and patient, utilizing his or her own body to instruct and evaluate the techniques of a head-to-toe physical exam in a non-threatening, standardized, positive encounter. Currently SPs and SPTAs provide approximately 10,000 hours of practical testing and teaching at the School of Medicine each year.